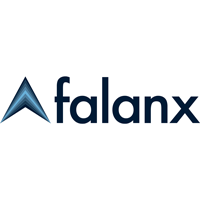 Falanx Group Ltd (LON:FLX), the global cyber security and intelligence provider, in line with its strategy of increasing value in the high growth Cyber Security market, has today announced the acquisition of Secure Storm Limited. Securestorm® is a privately held company and was incorporated in 2017 following a restructuring of predecessor business owned by the vendors. It provides professional services and consultancy regarding cyber and cloud security, and the associated regulatory requirements such as GDPR. Corporate customers include Fortune 100 companies and holds large managed service contracts with several UK government organisations. The consideration of £100,000 is satisfied by the issue of 2,222,222 Falanx new ordinary shares. The vendors will be subject to certain lock in arrangements. For the year ended 30 June 2017, Securestorm had revenues of approximately £700,000, operating profits of £30,000 and net assets were approximately £20,000 at 30 June 2017. In the latter part of 2017 an investment in delivery capability was made ahead of a planned increase of revenues. Unaudited management accounts for the 11 months to 31 May 2018 show revenues of £500,000 and an operating loss of £150,000. Net liabilities were approximately £130,000 at 31 May 2018. These are mainly due to HMRC where a deferred payment scheme has been agreed and is in place. The majority of losses were incurred before December 2017. These have since been eliminated by customer contract wins and cost reductions. In recent months Securestorm has been at break even with a strengthening pipeline of business. Securestorm® will be immediately integrated into Falanx’s Cyber division, its professional staff including its founder Tony Richards will be transferred over and will utilise existing Falanx infrastructure. This is expected to drive synergies around cost sharing, revenue enhancement and utilisation improvement. All of the above options vest in three tranches: the first tranche when the share price reaches 7.5p (25%), the second tranche when the share price reaches 10p (25%) and the third tranche when the share price reaches 12.5p (50%). The Options only vest if the average share price has reached the relevant threshold level for a period of three months, save for the event of a change of control in the Company, in which case they will vest in full. Application will be made for admission of the 2,222,222 new Ordinary Shares to be issued to trading on the AIM Market of the London Stock Exchange, which is expected to take place at 8.00 a.m. on or around 23 July 2018 (“Admission”). The new Ordinary Shares will, when issued, be credited as fully paid and will rank equally in all respects with the existing Ordinary Shares, including the right to receive any dividend or other distribution declared, made or paid after Admission.